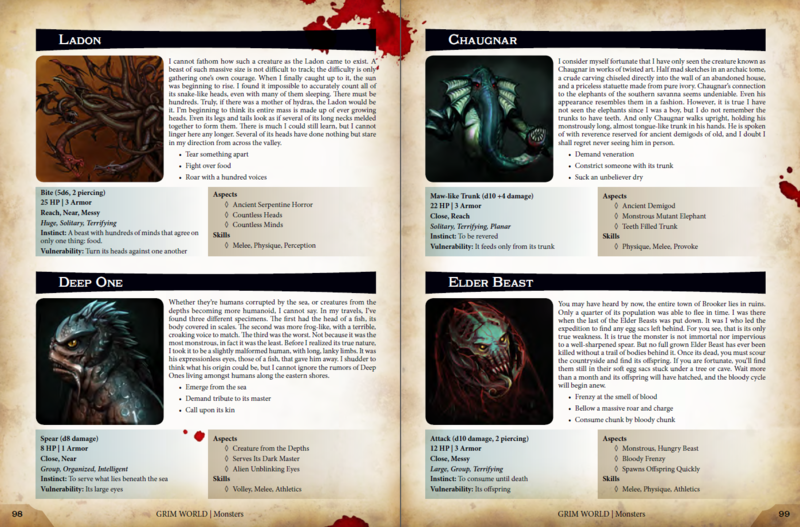 Grim World is a deliciously dark fantasy supplement for Dungeon World and Fate Core. 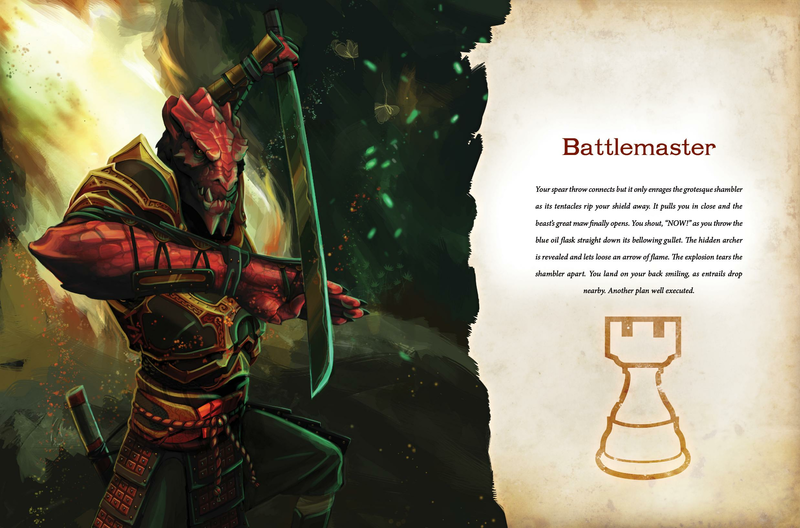 The Battlemaster: TACTICAL MIND - Turn defeat into victory and reveal your master plan. 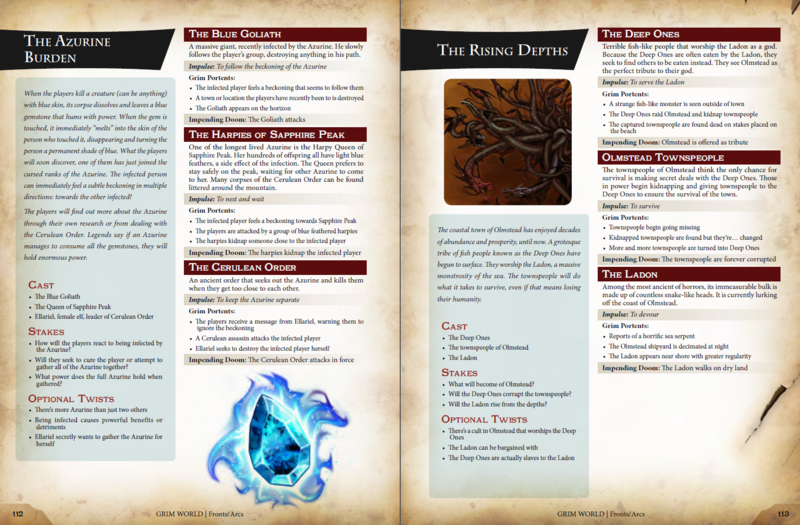 The Channeler: ELEMENTAL SUMMONER - Unleash raw magic if your flesh can bear it. The Necromancer: FOUL MAGICIAN - Raise the dead to do your bidding. 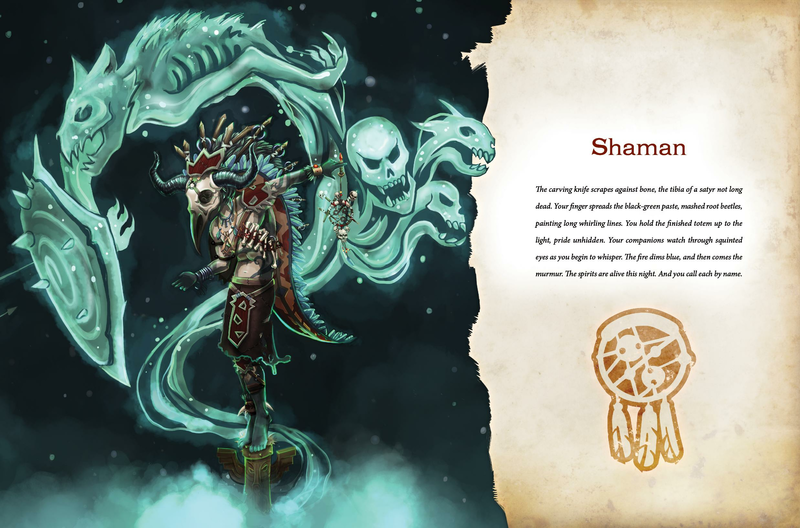 The Shaman: TOTEM CARVER - Show the wisdom and power of spirits. 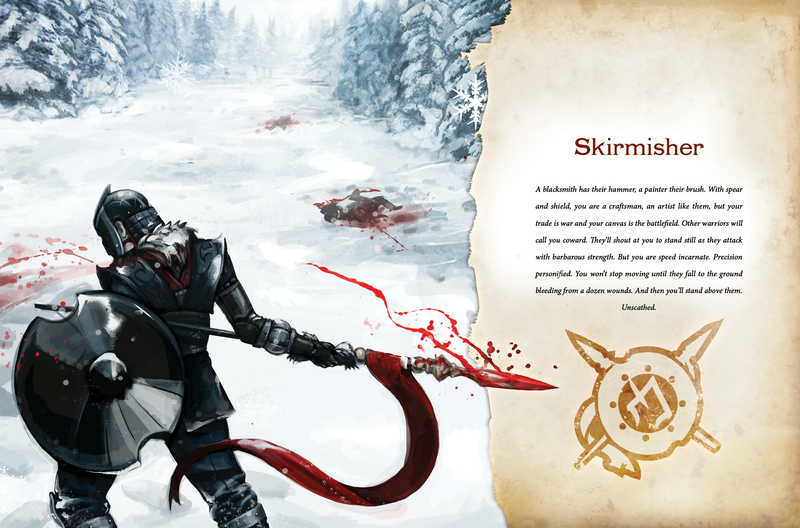 The Skirmisher: WIELDER OF SPEAR AND SHIELD - Draw out your enemy and strike. 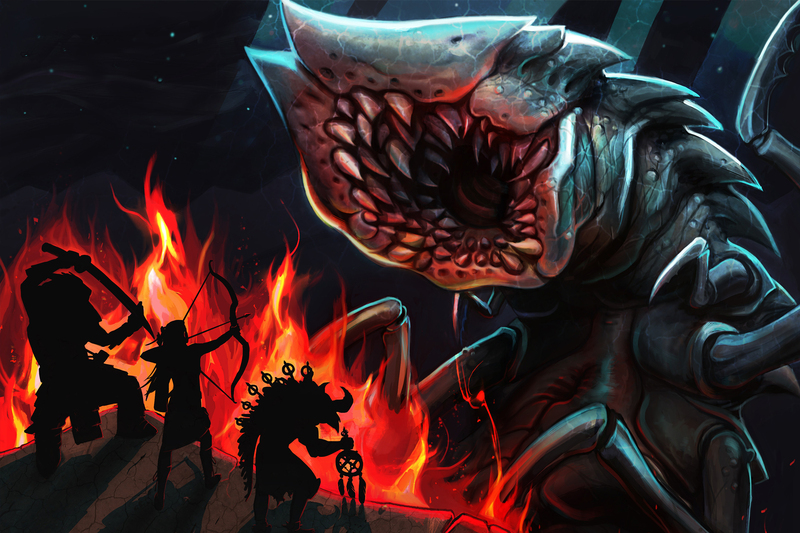 The Slayer: WALKING ARSENAL - Satisfy your bloodthirst by slaying foes. The Templar: HOLY INQUISITOR - Smite the unworthy with cleansing flame. I have MANY Dungeon World supplements, and I think this may be the best one out there. Definitely top three, but it has stiff competition! A fantastic and worthy purchase no DW player or GM would regret. Where can I purchase the physical book? Are there plans to make this Print on Demand? I'd love to know if there are any plans for another print run of this. Not interested in the pdf, but this looks like it has some good info. 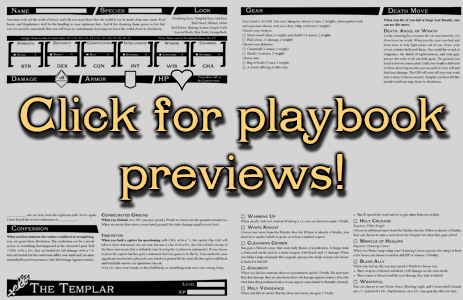 I got the pdf of this as part of the Kickstarter campaign. This book is beautiful and extremely well done. I can't wait to see what they do next.